Our region supports a wide range of moth species. Many are common, some are at great risk due to habitat loss and others are seriously threatened with extinction in our region due to their very limited distribution in the county. Some species have not been seen for many years and their current status in the area is unknown. Without the work of many dedicated volunteer moth recorders, much of the information we currently know would not exist. The branch is lucky to have many moth recorders who run public and private moth trapping nights across the region, the keenest of which are willing to travel far and wide at their own expense and stay up throughout the night before recording their moth catch as the sun rises. We also have many members who regularly moth trap in their own gardens, for many a weekly activity with records spanning many years. Several of our butterfly recorders submitted their observations of day-flying moths as an additional comment as part of their butterfly sightings data when this data was submitted online via this website prior to 2019. With the launch of the new website, we have selected 87 day-flying moth species that you are most likely to encounter in our region allowing you to submit your sightings data for these species in the same way you would submit your butterfly sightings. 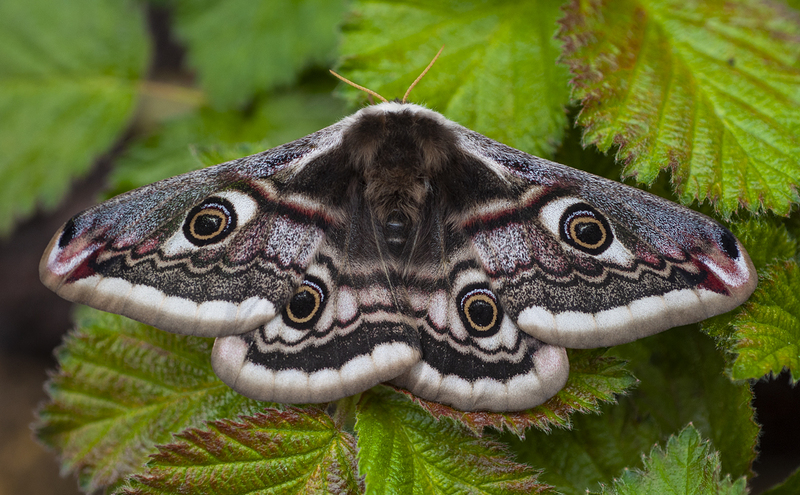 A female emperor moth; one of Warwickshire's most attractive day-flying moth species. Photo © 2012 - 2019 - Steven Cheshire. Clearwing moths are extremely elusive. Despite being day-flyers, there are rarely seen without the use of artificial pheromone lures which attract the males. With more people using artificial pheromones to locate clearwing moths, we now have an opportunity to start to map their true distribution in our region but until now, it has not been easy for casual observers to submit their observations of these elusive yet fascinating day-flying moths. A six-belted clearwing moth attracted to a synthetic pheromone lure. Photo © 2017 - 2019 - Steven Cheshire. 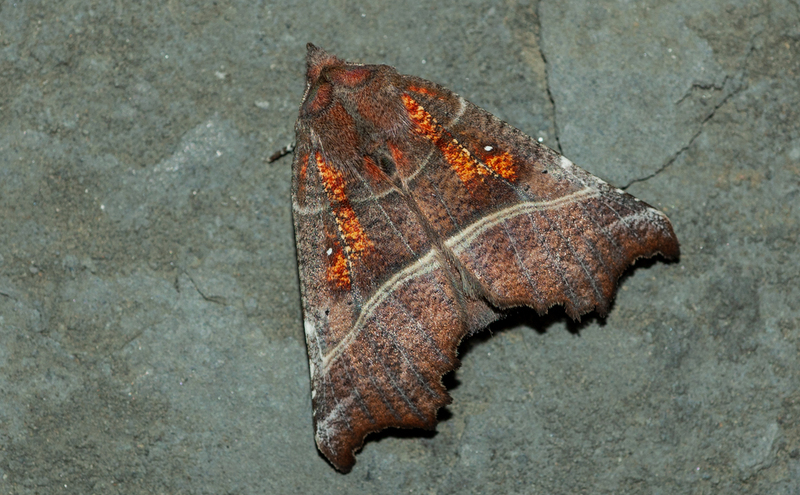 Without the work of many dedicated moth recorders, much of the information we currently know would not exist. The branch is lucky to have many moth recorders who run public and private moth trapping nights across the region with the keenest willing to travel far and wide and stay up throughout the night before recording their catch as the sun rises. We also have many members who regularly moth trap in their own gardens, for many a weekly activity with records spanning many years. Discover more about moth trapping and recording by attending one of our moth nights or attend our annual National Moth night. Visit www.mothnight.info to find out more about this nationwide, annual event. The Herald (Scoliopteryx libatrix). Photo © 2008 - 2019 - Steven Cheshire.